Finding the appropriate Taekwondo Classes Keller TX opportunities can most certainly be a challenge at times. Are you looking for karate classes in your area that are challenging, rewarding, fun, and flexible? Maybe you’re unhappy with your physical and mental capabilities, but your work schedule fluctuates. 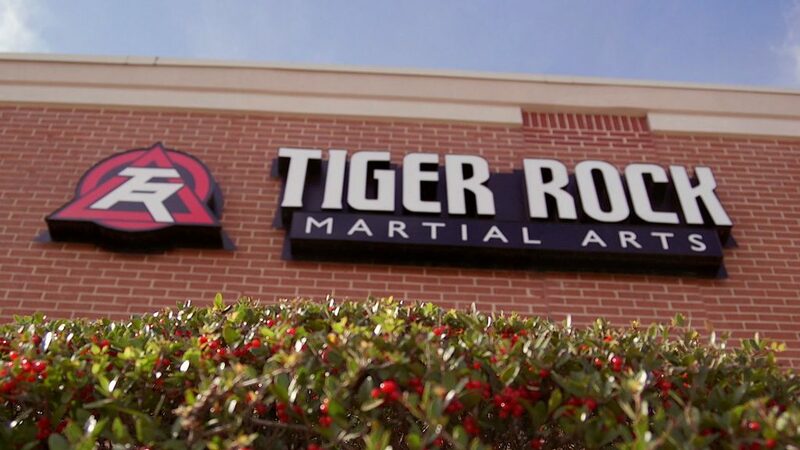 If you’re ready to find the best martial arts training grounds in Keller, Tiger-Rock is the place for you. Though we started in the early 1980s, Tiger-Rock is far from a secret. Our name has transformed from only being on one building to becoming the most successful martial arts franchise. We have well over a hundred locations around the nation, and you can take advantage of each one with a membership at our Keller location. Our team of Taekwondo experts wants you to unlock the warrior within. Korean Taekwondo is what we teach at all of our locations. This is a great way to help you receive a full-body exercise while also learning discipline and focus. It can be easy to mix this up with some other mundane series of punches and kicks, but Taekwondo is mental as well. It takes a great deal of focus, restraint, and overall cognitive awareness to successfully display it. Make sure you fortify your mind by studying, practicing, and mastering the routines and forms. If you’re considering signing up for a martial arts class, it can be very intimidating at first. Are you worried about your physical fitness level and you don’t know what to do about it? Maybe you’re unable to figure out how you’re going to improve your cardiovascular health and exercise is not one of your strong suits. While these problems can seem very daunting at times, you can trust our staff to assist you. creased strength, speed, and flexibility after joining our Keller TX dojo! While it’s important to find Taekwondo Classes Keller TX programs that are physically challenging, there’s more to this. Are you someone who isn’t too confident in cognitive matters? Perhaps you feel like your brain has slowed to a screeching halt, and now there’s no way to get it back in gear. If you’re currently going through a fog of some sort and you’d like to clear your head up, martial arts could do the trick. This is a physical exercise that you can take advantage of to get a workout in while sharpening your mind. There is a countless number of studies and other pieces of media that show and support the importance of martial arts. This is something that people use to fight obesity, high cholesterol, and cardiovascular deficiencies. However, it can also treat your indecisiveness, self-doubt, and other things that were making your minds weaker. It’s critical to make sure your entire existence is gathered and measured. If you’re trying to make sure that’s the reality you inhabit, call Tiger-Rock and schedule an appoint with one of our instructors. Self-defense is something no one can put a price on. Are you trying to make sure you’re able to properly defend yourself in case someone approaches you suddenly? Perhaps you’re a student who walks home from class alone, and you’re worried about attacks. While this is a valid concern, it’s important to make sure you address it in your own way. Nobody wants to have to fight off an assailant, but knowing how to do so could change and save lives. Tiger-Rock wants our students to be fully prepared. It’s critical to find a karate dojo in Keller TX that will give you the self-defense courses you need to survive. If you’re someone who has worried about what to do in the event of an attack, our dojo can help. Overcoming an attacker is a very serious situation, and it should not be taken lightly. Our team is ready to listen to your needs and develop a fan. Are you someone who really enjoys and relishes the chance to compete? Perhaps you’ve always been playing dominoes with your family as a kid, and now it’s time to make the real triumphs. Regardless, Tiger-Rock continues to support healthy competition. Our yearly tournaments are a great way for you to go to a place and test your luck against an opponent. We greatly encourage our students to take advantage of these types of moments. You will become mentally sharpened, and as a result of talking and sparring, your peer will, too! Taekwondo Classes Keller TX dojos are an important part of the typical Texas family. 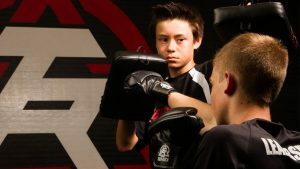 If you’re ready to start helping you and your kids get better at this martial art, let our instructors know. We’re prepared to help you develop a course and class routine that will help you reach your full potential. You never know how far you can fly until you try; contact our dojo today for more details! We have introductory course packages for new students that include three classes and an official performance evaluation. Helpful facts about our city: Keller! Keller is a great place to settle down and raise a family. If you’re interested in staying safe and developing a strong foundation, our town is perfect for you. As a member of the Tarrant County, Keller continues to grow within the Dallas-Fort Worth metroplex. We’re still a small town, but you will have access to these hubs for business, entertainment, and much more! Keller is a city that is consistently receiving awards for our safety. Movato is only one of the many publications that have given us recognition for keeping our citizens safe. Thanks for the trophy, guys!